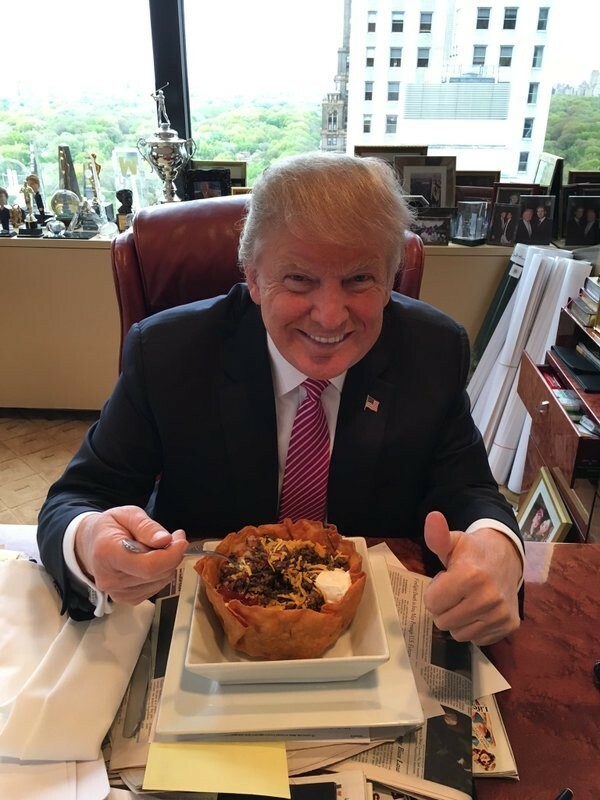 Donald Trump tweeted a photo of himself enjoying a taco bowl from Trump Tower Grill on Cinco de Mayo. "I love Hispanics!" he tweeted. • The reality TV star and real estate mogul will be in Spokane on Saturday. • A former head of Washington state's Republican Party and candidate for the state's U.S. Senate says he won't vote for Trump. • U.S. House Speaker Paul Ryan says he's "just not ready" to back Trump. • Cathy McMorris Rodgers, the fourth highest-ranking House Republican, says she's not ready to endorse Trump, either. Larry Haskell says that he's on board with an ambitious plan to reduce the county's jail population by 21 percent as part of a MacArthur Foundation grant. What happens if an Idaho resident is pulled over by an Idaho trooper in Washington and wants to sue? What state has jurisdiction? Washington's top court has determined that the case can go forward in either state. Thirty people were left dead after an airstrike hit a camp for people displaced by the country's civil war. A new monthly report on employment has found that the economy is adding fewer jobs and there are fewer people seeking them.